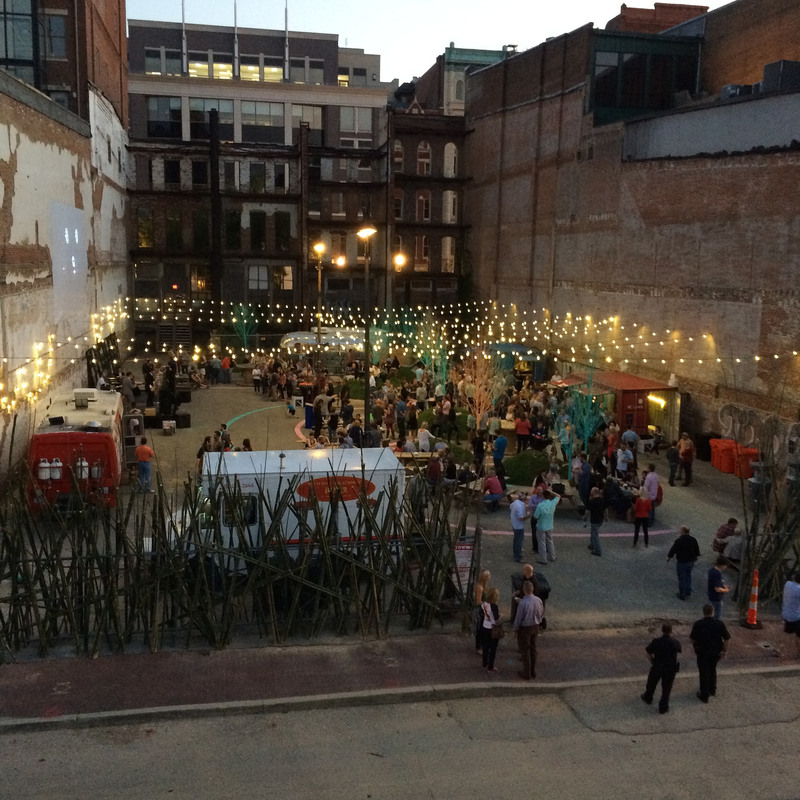 Saturday, Oct. 25 from 3-6 p.m. the pop-up event space ReSurfaced, behind the facades at 615-621 W. Main St., will bring its popular mini-season to a close with a Fried Chicken Throwdown, a culinary competition for the best fried chicken and the best side dishes. Prizes of $500 in each category will be selected by votes of the attendees. Admission to the event is free, and tastes will be sold for $3 for chicken and $2 for sides. All proceeds will benefit Slow Food Bluegrass. Restaurants vying for this new culinary title (the first of an annual event, the organizers hope) include Loop 22, Wiltshire on Market, Silver Dollar, The Monkey Wrench, Eiderdown, Roux, and possibly other late entries. Chefs who fry up a mean drumstick but are just hearing about this, can send a message of interest to Slowfood Bluegrass via Facebook: www.facebook.com/slowfoodbluegrass.